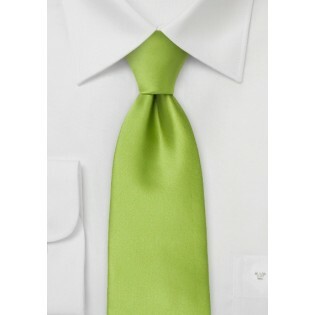 Get bright and bold with this bright apple green tie. 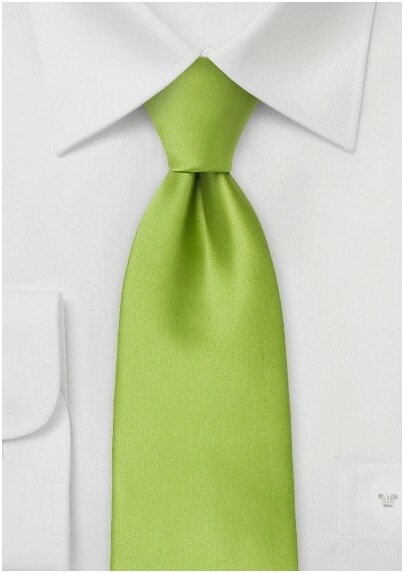 This tie is perfect for adding that extra splash of color to any ensemble. This trendy color is popular for outdoor events and warm weather weddings. Let this bright hue do all the work. Pair this tie with a white oxford dress suit and dark grey suiting. This color also comes to life when paired with a black suit. This tie is made from a high quality microfiber.